Join our mailing list to be the first to hear the latest news and updates from Roots, along with news on our sister restaurant The Black Swan Oldstead. for the team behind The Black Swan at Oldstead. that brings Tommy Banks’ Roots right into the heart of the city. Tommy and his team work around three seasons; The Preservation Season, The Hunger Gap and The Time of Abundance. With these the dishes change as the availability of ingredients come and go. James and Tommy Banks and their parents Anne and Tom, from The Black Swan at Oldstead, have been joined by Matt Lockwood to establish the new restaurant in the old building of The Bay Horse on Marygate in York. The key members of the team at Roots have all worked and trained at Oldstead. They’ve taken The Black Swans strengths and qualities to create something unique at Roots. We have roots in Oldstead where The Banks family have lived and farmed for generations. The ingredients that we grow and forage there are the roots of our menu and our passion to design and create is at the root of everything we do. The aim was to become self sufficient on the very best fruits and vegetables! Chef, Tommy Banks’s talent is in itself truly remarkable. He was Britain’s youngest Michelin-starred chef in 2013 and a winner of BBC Two’s Great British Menu in both 2016 and 2017. He has also appeared on BBC’s Saturday Kitchen and MasterChef. Look out for him as the co-host and judge on the new series of The Big Family Cooking Showdown. Recipes, techniques, tips and inspiring vignettes reveal the philosophy that has underpinned the creation of the new Roots restaurant. 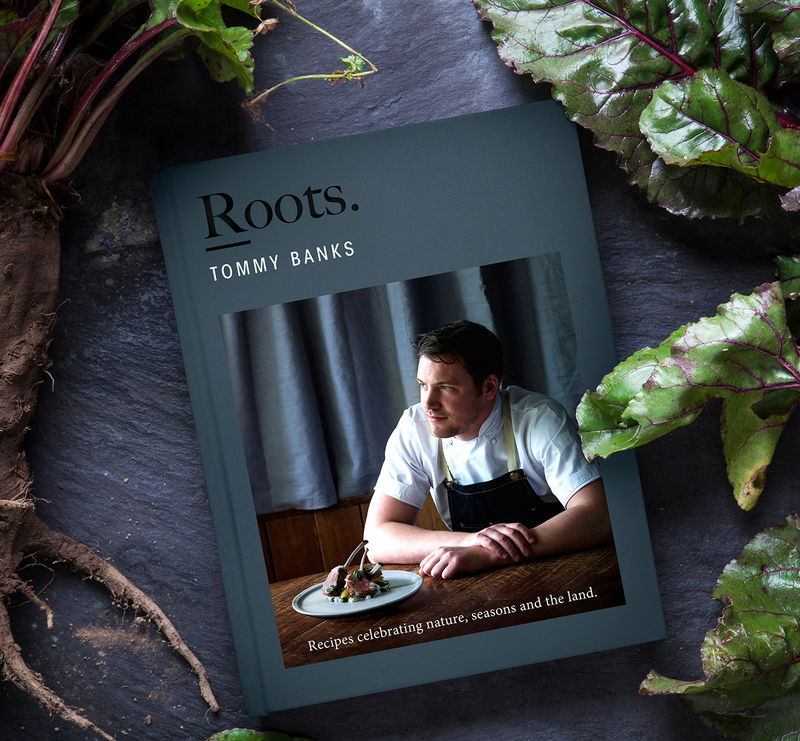 You can order a signed copy of ‘Roots’ with a reservation below, or you can pick up a signed copy at the restaurant itself: Roots, 68 Marygate, York, YO30 7BH.